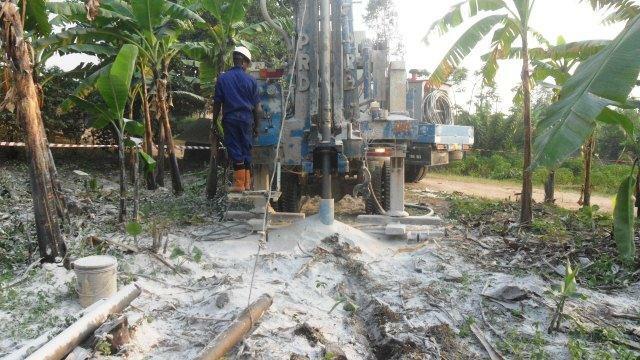 The Engineer of District and Living Water International Sustainability Coordinator together picked the site due to the reason of high needs of water in that village. Again the leaders of the cell were there .The leader of the village is the one in charge of the community under the supervision of the cell. 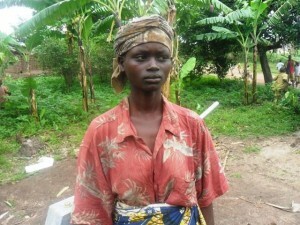 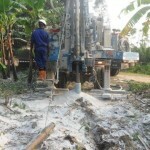 This site was selected and community was involved one week prior to the drilling of this borehole. 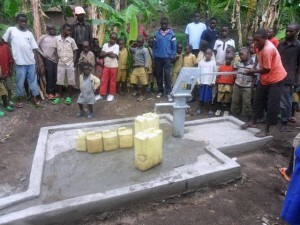 LWI Sustainability Coordinator discussed about how to set up the water committee. The community did not sign the MOU to agree in upgrading to a submersible electric pump. 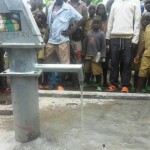 Sustainability made a plan to set up the water committee to manage the well and to start contributing the money for repairs. 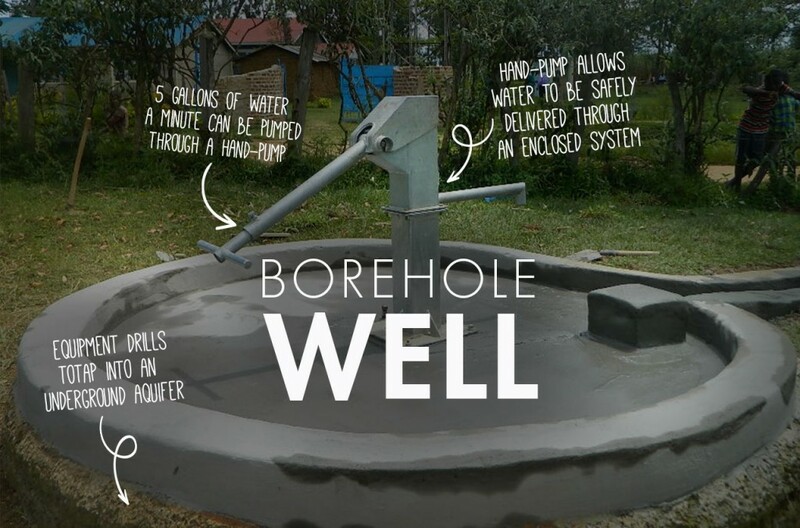 The story of the well was talking about how happy they are because of now having clean water compared to the old one, it was dirty and they used to get it from far which was a very big issue. 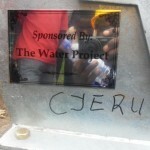 12/12/2012: Cyeru Community Project Complete! 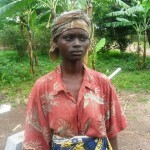 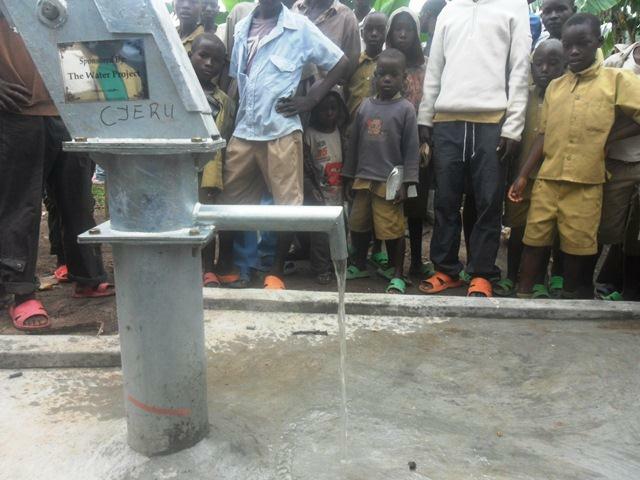 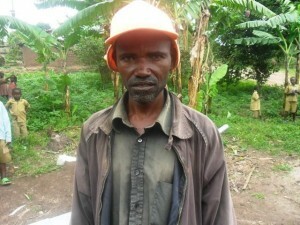 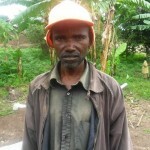 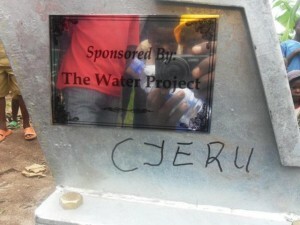 We are excited to report that the community of Cyeru, Rwanda has a new source of safe, clean water. 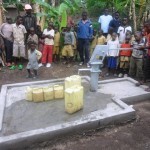 We just posted a report including GPS coordinates and pictures.